MlGRATION 188 (MM2H) Sdn Bhd establish in 2006 is approved by the Ministry of Tourism Malaysia as a registered licence company to promote / assist applicants / citizens from all over the world in their MALAYSIA MY 2ND HOME (MM2H) application. We have successfully help hundreds of MM2H Clients from over 30+ countries all over the world to settle / retire in Malaysia. 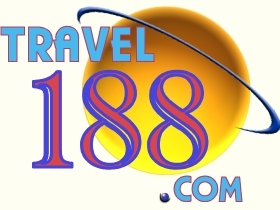 The Directors / Management of MIGRATION 188 have been in the Travel / Hotel Industry since 1978 - Worldwide Airticketing, Corporate Ticketing, Malaysia Overland Tours, Oversea Tours, Golfing Tours, Inbound, Transport, MICE - (Meeting Incentive Conference & Exhibition), Cruises, Hotels and all other related experiences in Malaysia, Singapore, Maldives & Australia. We also have been in the Real Estate Agency business since the mid 90's in promoting properties in Malaysia, Singapore, China & Australia. We have the experience in rental, sales & management of residential, commercial & industrial properties. As a professional company in the hospitality trade & also having taken care of the housing needs of our satisfied local & international clients for the past few decades you can be assured the highest standard of service from us in making Malaysia your 2nd home. Malaysia company formation - We can assist you in forming a Malaysia Ltd Company ( Sdn Bhd), A Singapore Pte Ltd Company or OffShore Companies BVI - We have at hand company secretaries, auditors, lawyers, tax consultants, immigration consultants, insurance consultants, hr and licensing specialist to asssist you in setting a business in Malaysia or Singapore ! Malaysia DO NOT Have Inheritance Taxes - We can assist you in making Wills & Trusts especially for your Malaysia assets & properties. Thank you for your kind attention and look forward to you making Malaysia Your 2nd Home soon !